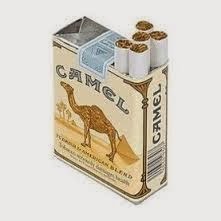 ...a little stream of consciousness thinking here...hump day -> camel -> camel filterless cigarettes from a previous post. Don't recommend you smoke them - cancer, anyone? - but boy do they taste and smell good. Yes, I know...if there was anyone reading this blog besides me, they're out now...can't risk their good standing as part of the health nazi's. ...but we're not there yet...heavy sigh. Have been doing a little more thinking about that mcm ranch I want to build. Our thought was to wait until Karen's 15 year old daughter is out of high school - 2.5 more years - but we'll see. It's not too early to start planning the details, especially since it's going to include a bowling lane and a nice bar in the basement. That will take some planning to do it right. 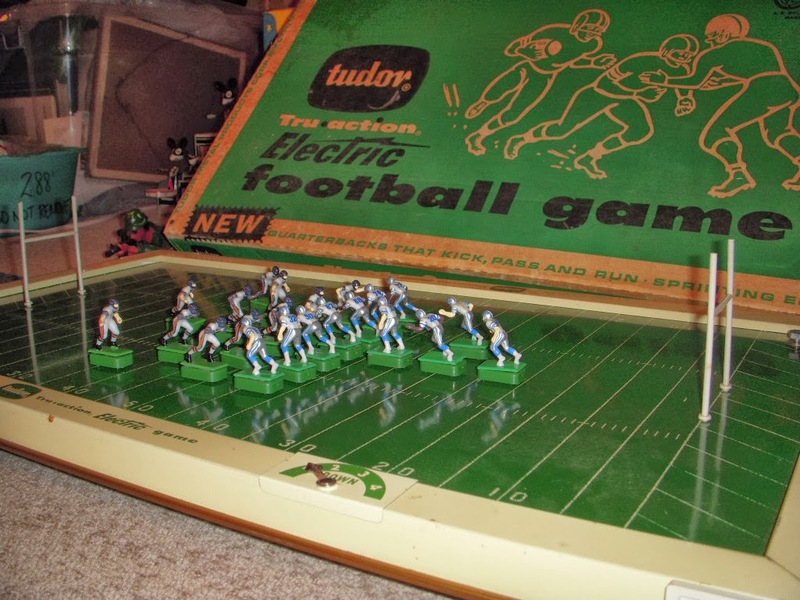 That's a Tudor Electric Football game from the late 50's / early 60's, but the players are new...I have the originals - yellow and red plastic guys in 1930's leather helmet uniforms - but I bought the Chicago Bears and Detroit Lions off ebay. 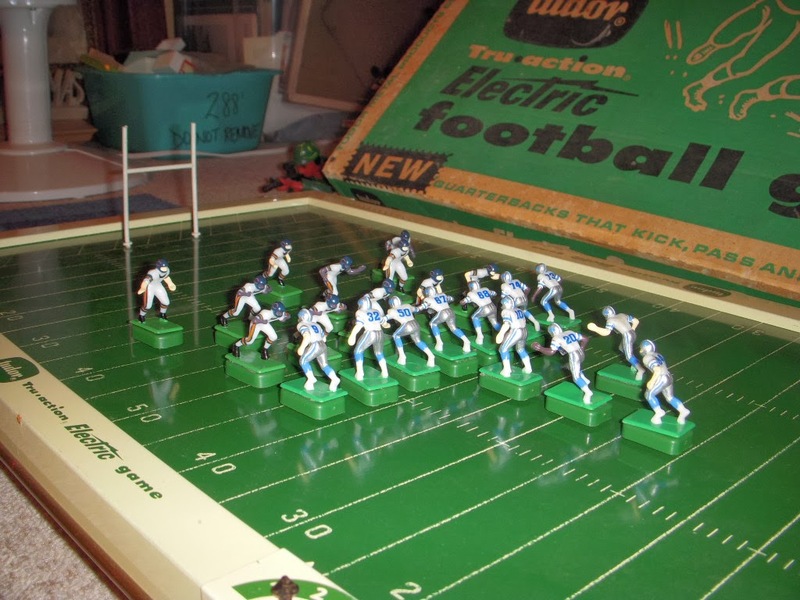 Probably could have bought the actual teams considering their records this year, but opted for the slightly less expensive plastic versions. And that's the way it is, Wednesday, January 15th, 2014.